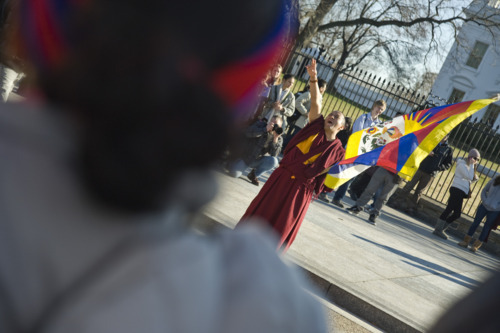 Tibetan Protestors travelled from as far away as their home to protest the arrival of current Chinese Vice President Xi Jinping this afternoon. Earlier today, 3 men were arrested for rappelling off the Memorial Bridge and hanging a “Free Tibet” sign from the side. 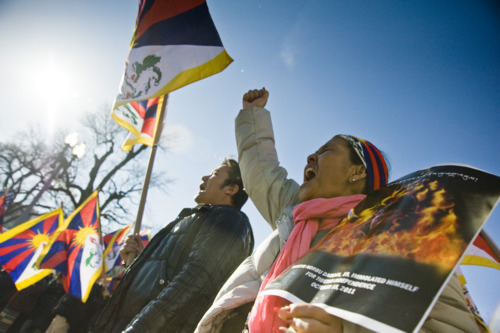 Over the past 2 years, 24 Tibetan protestors have self immolated in protests in Tibet. 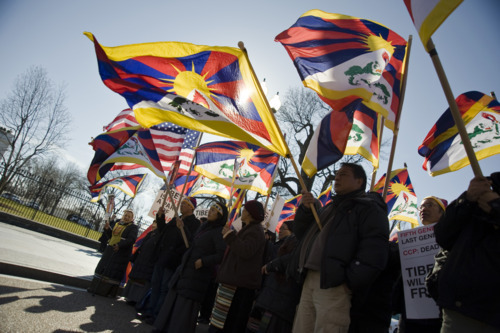 Protestors yelled and cheered to bring freedom to Tibet with the new 5th generation Chinese political leaders. Political demonstration based around current and past chinese leaders. 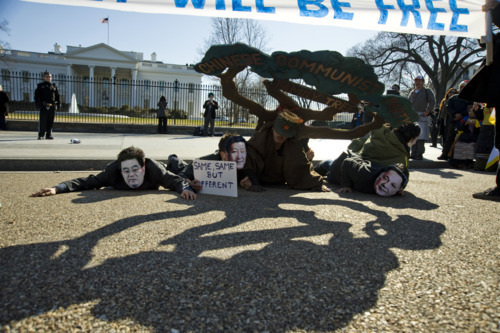 Protestors stand together outside the Whitehouse. 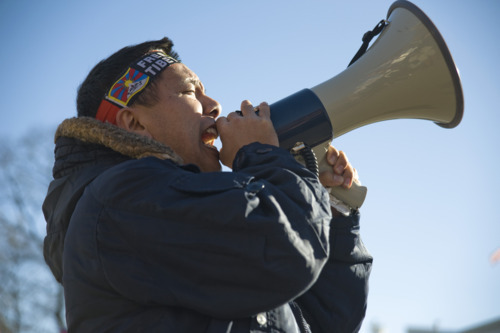 Sanam Wangdu Kinga, NY, leads protestors. Holma Kyaizon of New York yells with the protestors. Nicholas Lopez (right), 16 and Andres Smith (left), 17 are from Miami, Florida. 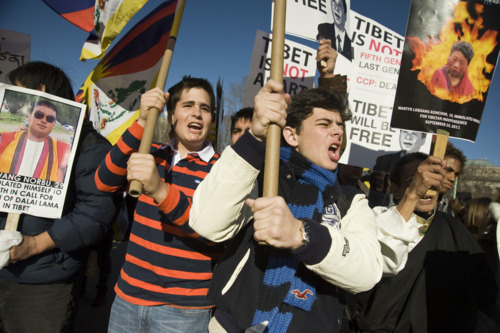 Lobsang Dorjee travelled from Tibet to participate in the protests. Material shot for the GW Hatchet.